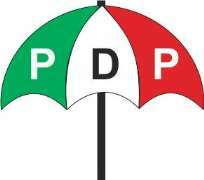 The Peoples Democratic Party (PDP) Presidential Campaign Council in Ekiti State has said that if not for lack of conscience, those still supporting the reelection of President Muhammadu Buhari will go to bed last night, covering themselves with blanket of shame after seeing the President’s scandalous performance on NTA programme, The Candidates. The State Campaign Council’s Director of Media and Publicity, Lere Olayinka, in a statement on Thursday morning, said “almost all questions had to be interpreted to the President while he talked off-point throughout; answering no question appropriately to the extent that Vice President Yemi Osinbajo became so embarrassed and agitated that he tried to help him answer questions that was asked him. Independent Nigeria Electoral Commission', Osinbajo 'Osunbade' and Imo State 'Ibo' State. my campaign, I will have the information,” but at the same time tried to discredit the video exposing the bribery scandal. He said; "Nigerians, especially the people of Ekiti should take their time to see the video of The Candidates edition of yesterday and challenge anyone coming to preach reelection of the president to them if they will hand the running of their personal business to someone who has proved to be unconscious of happenings around him."